Looking for a quick way to send out everyone's year-end tax letters? Since we'll be emailing these out, keep Choose Report Type = Contact Records (Group Records is best for direct mailers). Optional: Restrict based on other filters, such as Business or Individual records, tags, or contribution amounts. Scroll down and click View Full Report > Send me report via email > enter your email > click Get Report. Check your email. 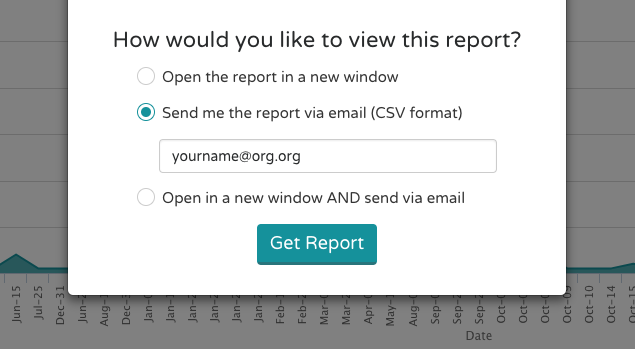 Your report should arrive in a few minutes (it may take longer if it's a large report). Click the link in your email to download the report. You can open the report in Microsoft Excel if you have that on your computer, or use Google Sheets. Your report will contain all available fields on your contacts, but for purpose of sending this e-blast, only 3 are required: Email, First Name (or which ever variation of their name you prefer to address your donors by), and 2018 Annual Summary PDF (assuming this is for 2018, of course). Delete the columns of fields you don't need and save your file as a CSV - it is now ready for import into your email program! The next steps vary depending on what email program you use. For most, like Mailchimp, you'll want to import your list. During importing, make sure you get all the fields and pick titles for them in your email program so it is able to merge them for you. Write an email draft to thank your donors. Insert the merge tags that will pull from your spreadsheet fields. Depending on what email program you use, the merge tags will be different. Here's more info on how to do this with Mailchimp. Don't forget to include a merge tag for the column/field that contains the link to the PDF report! 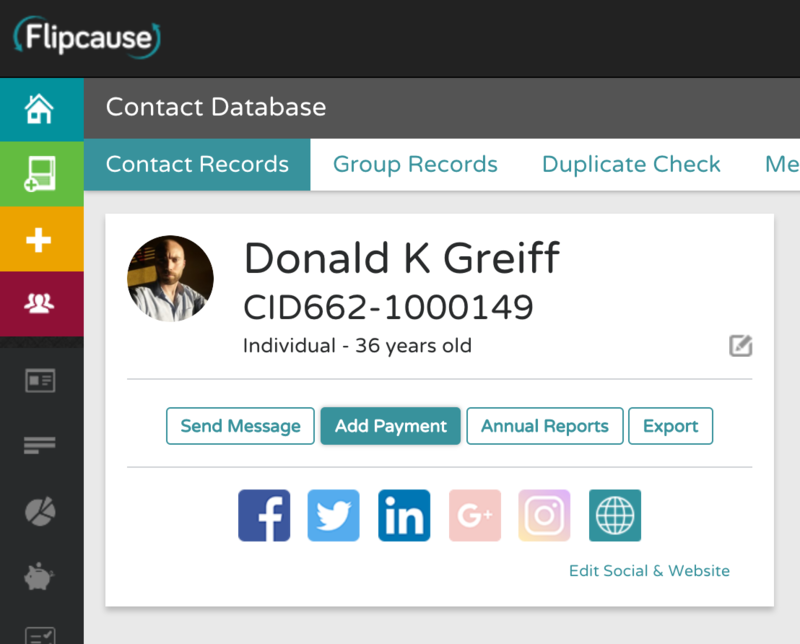 Now that you have your email template with merge tags, your list of names and annual reports, you are ready to schedule your email send to everyone! You can view and email a year-end tax receipt individually from the Contact Profile.